There has been at least one delivery of an Agility Saietta electric motorcycle in England so far. 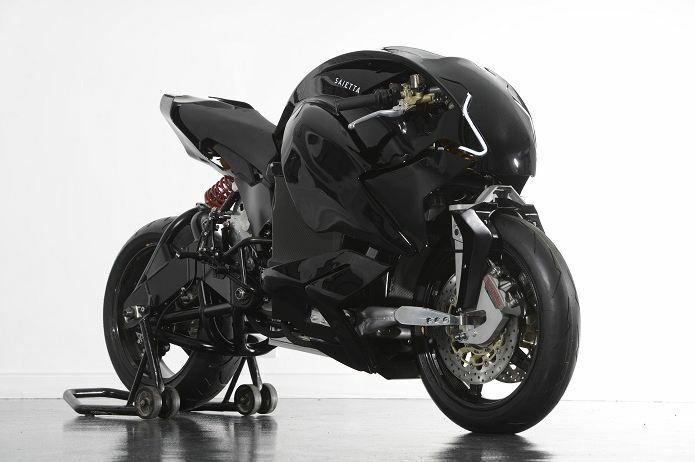 This strange-looking motorcycle has good performance characteristics despite its alien design. More information will be released over the coming months and interested parties can receive updates by signing up to Saietta’s NEWSLETTER. The Next Generation Saietta is more artistry than machine. I can’t wait to get my hands on one. While some have called it ugly, I’d argue that this is what the future looks like! I know this motorcycle already has a cult following, but frankly I don’t get it. IMHO it looks like an over-wrought jumble of parts that probably aren’t even essential to function. I suppose I’ll have to wait and read reviews of the IRL Saietta NGS “experience”.